The Chicago private equity firm GTCR has agreed to pay more than $500 million in cash to acquire Lytx, the San Diego-based provider of dashboard video telematics and driver risk management services, according to a statement this morning from Lytx. The transaction is expected to close in the first quarter. Lytx says its executive team will continue in their roles, and the company plans to expand its San Diego headquarters. Brandon Nixon, who became Lytx CEO in 2008, will continue as board chairman. Founded in 1998 as DriveCam, the company raised roughly $69 million in venture capital from 2005 to 2009, according to AngelList. (DriveCam changed its name to Lytx in 2013.) Lytx has not detailed its total venture funding, but it would appear to be substantially more. In 2011, the New York private equity firm Welsh, Carson, Anderson & Stowe provided $85 million that enabled the company to acquire RAIR, a Wisconsin business that helps fleet operators manage regulatory requirements. In 2013, Volvo Group Venture Capital provided an undisclosed strategic investment. 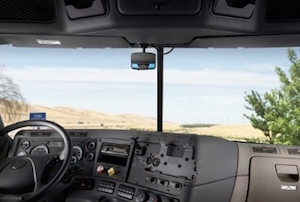 DriveCam video telematic device mounted above truck windshield. Lytx has identified its major investors as Insight Venture Partners, Integral Capital Partners, JMI Equity, Menlo Ventures, Triangle Peak Partners, and Welsh, Carson, Anderson & Stowe. More recently, Lytx has been emphasizing its growth story. The company said in 2015 it added 365 companies as new customers and more than 300,000 new subscriptions for its analytic services, which Lytx said represents a year-over-year increase of nearly 80 percent. Last month, Lytx said it now holds about 66 percent of the global market in commercial fleet video safety technology, according to the market research firm Frost & Sullivan.